This is a store that has everything 'green' you can think of! Ultimate Green Store has everything from Diapers, to clothes, to pet supplies, to skin care and more! So cute!! Look at that little bum! They didn't quite cover the top of the diaper though! Since we use cloth diapers, it's hard to find pants that fit. I don't mind the diaper sticking out though, it's adorable!! The outfit is a good fit, but there's no way it would fit until 6 months. The shirt maybe, but the pants no way. Even over a disposable these pants are tight in his waist and just fit him in length and he's still under 3 months old. But I LOVE the outfit!! Unfortunately it's been in the 70s and 80s here (fortunately?) so we can't wear this outfit much anymore. I'm a little bummed that he only got to wear it 3 or so times, but it is what it is. I think it was an adorable outfit and I just might save it for if I ever have another baby (no, I'm not thinking about this yet). Since it's organic cotton it's super soft. It washes really well, but the elastic at the top of the pants tends to twist and bunch up after washing. It also comes in a red color as well. They have shower curtains and towels and so many other great organic items. Price: The outfit I received is $19.95 for each piece. So it is a bit pricy, but all organic clothes are. They are worth it though. recycled glass drink bottles are cool;! i love their organic baby bedding- like the giraffe pillow! I like the Bulls-Eye Brights Organic Cotton Baby & Kids Long Johns. My favorite item is the EcoZoo Eco-Friendly Cow Lunchbox. I love the recycled Wine Bottle Drinking glasses! I like the Au Naturalle Animal Print Organic Cotton Long Sleeve Baby Bodysuit. The recycled seat belt tote bag is pretty cool. I love the Terracycle Circuit Board Upcycled 4x6 Picture Frame. I like the Bamboo Towel Set in black. I like the organic cotton onesies. I would love to get the BG diaper! I like EVERYTHING! Plum shirt is super cute. I love the little monster baby outfits!! I love the recycled glass drink bottles...so cute! Organic Cotton Leg and Arm Warmers: Loire. My favorite item is the BPA-Free Mixing Bowls (Set of 3)»Preserve. I like the Recycled Sterling Silver Dog Bone Charm Necklace. I like the Mama & Baby Organic Healing Gift Bag Set. I like the Kabuki Collection Organic Cotton Baby Outfits. I like the Bumgenius cloth diapers! Really like the cute whale onesies. the sckoon cloth diapers are pretty cute - i like the blue pears. I like the Sherpa Pauline Organic Cotton Soft Toy Doll. I like the solar butterfly charger. I like the Organic Cotton Toy Tool Box Set. i love the recycled wine bottle glasses! Crayon rocks and I'd like to try one of their cleaning sprays. I love gDiapers! I'd definitely get some for the hot summer weather coming up. :-D Thanks for the giveaway! i like the organic diapers! I like the bamboo towel sets. They seems like they would be a great quality. I love the Organic Cotton Pleated Baby Party Dresses!! I really like the Recycled Seatbelt Large Tote Handbag. I like the Anti-aging Serum with Certified Organic Aloe. I love the night owl onesie. I think the recycled seatbelt diaper bag is just so cool! love the bamboo towel set!! I like the bamboo cutting boards. My favorite is the Organic Side Snap Shirt & Pant Set. I love the BumGenius diapers. i like the recycled glass drink bottles! Organic Cotton Towels in Sea Glass aare lovely. Would love to try the Seventh Generation Lavender & Eucalyptus laundry detergent! I'd love to have the Organic Combed Cotton Towel Sets . 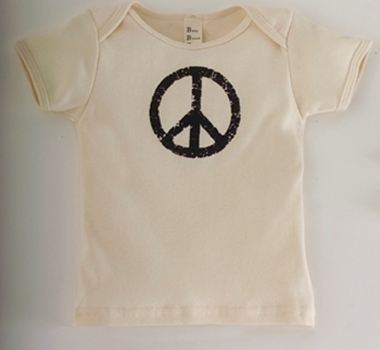 i like the organic cotton baby onesies.